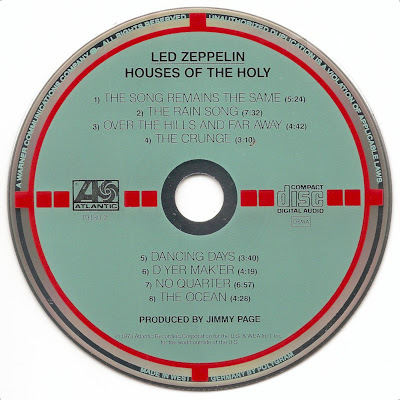 In their search for the Japanese Target pressing of Led Zeppelin's fourth studio album, some Target CD collectors show the same zeal as Percival once did in his Quest for the Holy Grail. 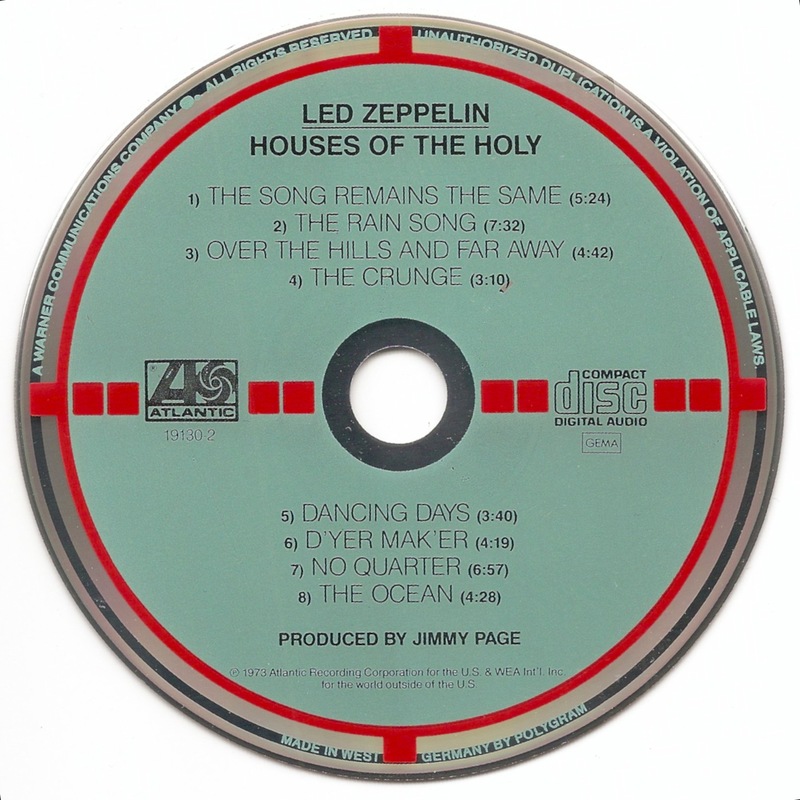 Shown above is a color variation of Led Zeppelin's fifth studio album, Houses of the Holy, their only other album that was released as a Target CD. It has the lettering printed in black in stead of silver that is typical of West German Target pressings on the Atlantic label.